The Magic Question You Need To Ask in Order To Know Your Purpose in life! Yay! It is that time of the year again. It’s Christmas. A time where we celebrate. 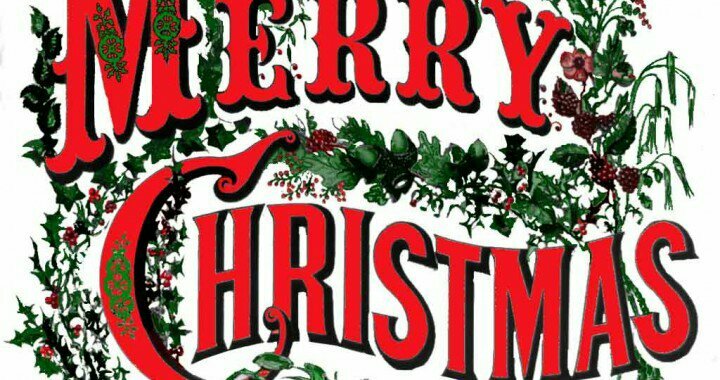 A time where we share gifts with family and friends. The spirit of holidays. Now, before I go on, I’ll like us to take this brief exercise. Imagine that you just died, okay I don’t mean harm. Your friends, family and acquaintances are all at your burial. They mourn and pay due respect. Now, it is time for paying of tributes. Just assume this were real. What do you think people say about you? How do you think they will remember you? Will they talk about the impact you made in their lives? Or the pain you caused them? Now this brings me to the magical question…. 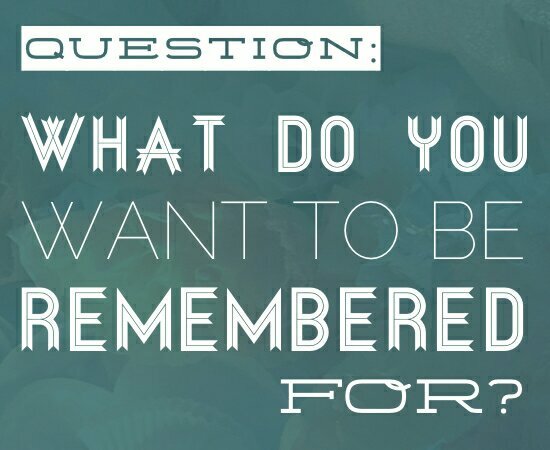 What do you want to be remembered for? This was actually the question that made recognize my divine purpose in life. Just few months ago, I thought I knew what I wanted to do with my life. In fact, I often acted like I knew my purpose in life. It didn’t occur to me that I was naive about purpose until I read Myles Munroe’s The Principles and power of Vision. It was then I discovered my purpose in life. In the book, there was an action step Myles asked to take in discovering one’s true vision. In the action step, he provided readers write how they want to be remembered by their family, friends and society. It was this question that revealed my purpose to me. What do you want to be remembered for? What kind of legacy do you want to leave behind? Answering this question requires you knowing your purpose. And the main reason I brought up the question. Knowing what we want to be remembered for will give us some sense of purpose and meaning in life. There are many figures in the human history whose names will never be forgotten in history. They’re forever remembered in the history of human race. Why? They made impact and laid legacies for themselves. And some of them probably had the idea beforehand, the kind of legacy they want to leave behind. Examples of these great men and women include Martin Luther Jr, Abraham Lincoln, Nelson Mandela, Leornado da Vinci, Mahata Gandhi, Mother Theresa among others. These men and women did great things in their generation. To the extent that the next generation still has them in record books. They are human beings like you, so should you be any different? Now, I’m not asking you to fight racism& injustice or give to the less privileged to be remembered. No, but that can be your calling anyways. The point I’m trying to make is that have you ever sat down and thought what do you want to be remembered for when you leave this earth? Knowing this is key to discovering your divine purpose in life. Yes, paraphrasing Nikki Luongo in her Huffington Post article, we all have roles to fulfill as cousins, parents, children, friends etc. But if we really try, we can actually change the world. You never might tell if finding out what you want to be remembered for may make you re write history. Now, maybe you’re frustrated with living a purposeless life. But have you given a good thought to how you want to be remembered? By family? Friends? Society? Kids? Acquaintances? Knowing how you want to be remembered when you leave this earth is a great thing. And it is the magical answer to your search for purpose. Why? It will actually guide in your actions and goal setting. I mean, if you want to be remembered as a great philanthropist and loving parent. Won’t you want practice being more caring to your children and also give more to the society? What do I want to be remembered for? Is the question that actually brought Nobel prize foundation to existence. A French newspaper published Alfred Nobel’s obituary by mistake, saying “the merchant of death is dead ” & that “ he made his fortune by finding a way to kill the most people as ever before in the shortest time possible .” They were referring to him inventing dynamite. Alfred Nobel, still alive, became horrified as he read this. He then went on to established the Nobel Prizes and changed his will to donate most of his fortune to the Nobel Prize foundation. Today, he is remembered for peace and progress. This is an extreme example of how Alfred Nobel realised the legacy he was leaving behind wasn’t at all what he wanted to be remembered for. But you shouldn’t wait for your local newspaper to publish your obituary by mistake to have a similar revelation. Your opportunity is to have that today. Write down your obituary. Okay, I don’t mean to be dramatic or anything. But writing down your obituary’s actually a great way to know how you want to be remembered. In order to make this method more effective,Imagine you’ve just passed away of old age and think about what you would like people to write in your obituary. Then write it down. But I get it, writing this can be quite overwhelming or sensitive. But it is a powerful method to act on. Write down your top 8 goals right now . These goals could be intentions, wishes, desires & motives. Once you’ve written them down, look at them and see if they reflect how you want to be remembered. A lot of this is listening to your gut and heart so give the space and room to let your subconscious come out. Finally, take some time to think long and hard about what you want to leave behind and be remembered for. Are you doing the right things to achieve your desired vision? These steps are good but the most important thing is to think about the question. What do I want to be remembered for when I leave earth?Over time, you can develop daily actions to who you want to be remembered for. And this is no overnight process, it is something you will work on all the days of your life. What you want to be remembered for today might be different from what you want to be remembered for in 5 years. But to become more aware of this question and reflect on it helps you stay on the right path. So this is your chance to get started. Now, you can go back to enjoying your holidays. But don’t you forget this important question. Previous Previous post: Positive Affirmations: Why They Aren’t Probably Working For You… Here’s What You Should Do Instead. Next Next post: Enough with the new year resolutions already!! Why not dump them and try these alternatives?